Put up bird houses and the birds will build nests there and help to keep your garden free of bugs and insects. Put your garlic and onion skins into a gallon jar, cover with water, and seal tightly. Leave the skins soaking for a week and then strain off the water. Spray this water anywhere you have aphids or spiders and it will get rid of them quickly. If you have a slug and snail problem, put out small saucers of beer at sunset and they will crawl in overnight and drown. Simply discard the contents of each saucer the next morning. Sprinkle cabbage heads with cinnamon and the cabbage worms will stay away. In the spring, before you start using your shovels or hoes, coat them with car wax. If you do, the dirt will come off them easily and won’t cling. Repeat this about every month and the hoes and shovels will be so easy to use. You can ask for used peanut oil at local restaurants and cafes and use it for the same purpose. Apply a heavy coat in the fall to keep the tools from rusting over the winter. If you’re going to turn ladybugs loose in your yard, be sure to plant sunflowers and marigolds to provide a home and a place to lay eggs. Sprinkle the top with powdered cinnamon. This keeps away fungus that can cause damping. Consider putting up bat houses and provide them with a bird bath to get water from. Bats also eat huge amounts of bugs. 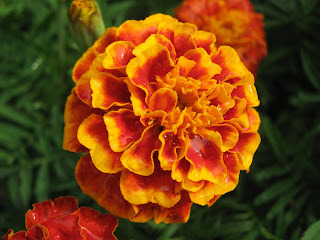 Plant mint and marigold to repel unwanted insects. Always plant marigolds in your garden, especially near tomatoes and cabbage, because the marigolds will keep garden pests away. If you want to root a plant or cutting in water, add an aspirin or two to the container. For sweeter tomatoes, put two tablespoons of baking soda in the bottom of the hole. Cover the baking soda with an inch or two of dirt before you put the plant in the hole. Always put leftover tea, tea bags, and coffee grounds under your azaleas. You will end up with healthy plants with bright flowers.